I fall asleep to the music of spring peepers, wood frogs and toads. The next morning I wake up to the song of warblers. Gotta love it. 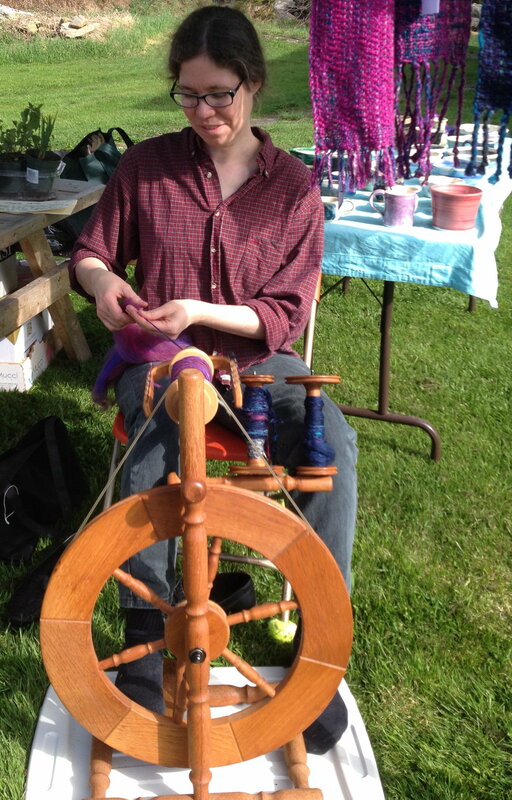 Last weekend, I was at the first local farmers’ market of the season — the Museum Market in Hopewell Cape. I had an eclectic table, to say the least, with stinging nettle plants, asparagus crowns and horseradish plants, along with weaving, spinning, pottery and greeting cards featuring pictures of the area. If you’re interested in reading my latest articles, I’ve highlighted the new ones on my Writing Samples page. I really enjoy reading your postings. Even though spring is such a busy time in the garden, the sights and sounds of nature all around us makes up for an aching back and tiredness of gardening chores. You have the right idea in how to appreciate nature!! !